The Forge is paintball done in Great Oaks Style. More than just a few hours of exhilaration, The Forge challenges people and helps them grow. Groups can schedule 2 hour (minimum) sessions of time during which Great Oaks will facilitate a unique, extreme team building experience. Each session will be two teams working to complete missions and objectives. There will be points awarded and one team will claim victory. Throughout the session our facilitators will spend time debriefing the teams as they think about communication, trust, loyalty, and courage among other aspects that are demonstrated by great teams. The entire experience is customizable, and Great Oaks would love to help you create an experience that your group will talk about, and more importantly, learn from for years. 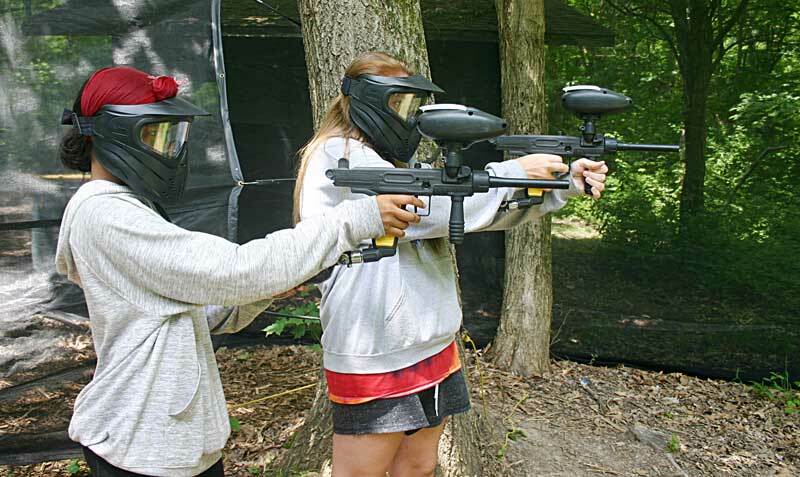 Great Oaks offers a low impact paintball experience by using a smaller size of paintball. Because of the smaller size there is a significant reduction to the impact and thus a more enjoyable experience. You must use our markers and paint. You can bring your own mask, but it must be approved by a Great Oaks Staff Member after inspection.